If you are familiar with F. Scott Fitzgerald’s Tender is the Night, you just may recognize moments with the Murphys, Sara and Gerald, who feature in the story. In this historical fiction, Liza Klaussmann relocates us to the south of France in the 20’s, and fills the story with tales and moments with Picasso, Zelda and F. Scott and even Hemingway. Sara and Gerald Murphy moved to the south of France to play with the glitterati of the day: poets, painters and intellectuals all spent time at Villa America, a retreat in the south of France that recreated the excesses of the time with the bohemian ex-pat crowd. Klaussman creates the world with all of the glitz and glamour, giving a sense of the often frenetic, if not wholly hedonistic connections between all of the players. Focused more on Gerald, this recreation of what might have been, including affairs, revelries and plausible motivations gives a sense of being there, without the hangover or cleanup afterwards. A bit uneven in pacing, the author’s prose is lyrical and provocative, yet truly shines when the more ‘well known’ characters are occupying center stage. These were people with great secrets and passions, and not always known for good choices in their personal lives. While secrets often drive moments of the story, it is the drama as they are unearthed that keeps unfolding: some are real and documented, others are fabricated for the plot, but all are intriguingly plausible and possible. Bits of well-documented details and stories are incorporated, giving those familiar with this large and diverse group of creative personalities will recognize, and the action seems to never end. There is tarnish on the glitz, and to Klaussman’s credit, she reveals these moments with skill and care, only with the end do you see the retreat is truly only superficial, and real life does influence every moment. 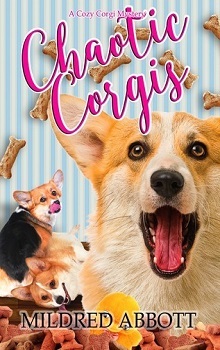 Narration for this book is provided by Jennifer Woodward and her ability to bring characters to life, with unique voices and delivery works well for the story. Introduced with a closure of sorts to the stories, the relative remove of the writing style and narrative performance work to keep the listener’s attention focused on the story as it reveals, gradually and logically, as each moment leads to the next, some transitions smoother than others, toward the end. An intriguing listen and perfect for fans of historic fiction that feels new and fresh, yet somehow familiar. A dazzling novel set in the Cap D'Antibes based on the real-life inspirations for Fitzgerald's Tender is The Night. In this gorgeous, glamorous, and affecting novel, Liza Klaussmann does for Sara and Gerald Murphy what Paula McLain and Michael Cunningham did for Ernest Hemingway and Virginia Woolf in The Paris Wife and The Hours. Villa America was in fact a real house on the French Riviera that Sara and Gerald Murphy built to escape to in the 1920's. Members of a group of expat Americans, they were known for their fabulous parties and for making the Riviera into the glamorous place it is today. Their freewheeling days were filled with champagne and caviar, but these were people who kept secrets and who were, of course, heartbreakingly human. This is a stunning story about the Lost Generation, about a marriage, about a golden age which could not last. Liza Klaussmann is the author of Tigers in Red Weather, an international bestseller for which she won a British National Book Award, the Elle Grand Prix for Fiction and was named Amazon UK's Rising Star of the Year in 2012. A former journalist, Klaussmann was born Brooklyn, New York and spent ten years living in Paris. She currently lives in North London. 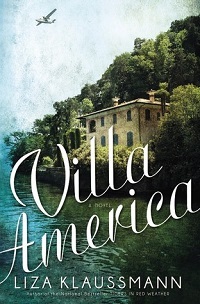 VILLA AMERICA is her second novel.